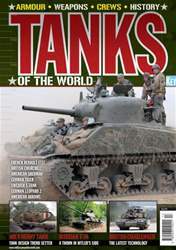 A British invention born out of the stalemate of the Great War, the ‘Tank’ has become a key element on the modern battlefield that is both feared and respected on all sides. Since those early days when the tanks were little more than thinly armoured boxes, the modern Main Battle Tank has evolved into a sophisticated armoured fighting vehicle that is highly mobile, well protected and heavily armed, and over the decades many ‘Great Tanks’ have been built. 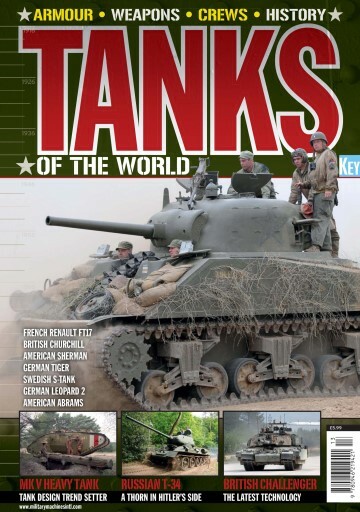 In this 100-page special we take a look at ten of the most important tanks to have been produced since their introduction to the battlefield in 1916. British Mark V Tank – Not the first tank to be fielded in WW1, but the first to give control of the vehicle to just one man. French Renault FT17 Tank – The first tank to use a turret, setting the pattern for most future tank designs for decades to come. British Churchill – One of the best British heavy tanks of World war Two that went on to serve post-war in a variety of roles. American Sherman – The WW2 Sherman was the first tank to be designed to be mass-produced and went on to serve with armies all over the world, lasting well into the 20th Century. Russian T-34 – The first tank of WW2 to introduce sloped armour, which combined with the simple design, sees it still serving with armies today!